From September 9 to 19th, the city of Toronto will transform into a film buff’s fantasyland; with a lineup of 246 titles in categories such as “Contemporary World Cinema”, “Discovery”, “Midnight Madness” and more, there will be something for even the hardest-to-please audiences at the 35th Toronto International Film Festival. Here’s a link to the complete list of films that will be screened. If you’re attending but are overwhelmed by the sheer plethora of choices, here’s a little FK-guide to help you navigate them! Autumn: Directed by Amir Bashir, the story of a young man dealing with his brother’s disappearance amid the border disputes in Kashmir. Soul of Sand: A watchman permits a couple to seek shelter in his feudal master’s mine, in which they find a “bloody world of lust, fear and violence.” Directed by Sidharth Srinivasan. A sampling from the growing phenomenon of filmmakers from around the globe, who are finding their subjects in South Asia. Pink Saris: Kim Longinotto chronicles the activities of Uttar Pradesh’s “Pink Gang”, a group whose mission is to fight violence against women. Pink Saris is an exploration of the resilience and determination of Indian women as manifested by the group’s leader, Sampat Pal Devi. The Sound of Mumbai: A Musical: A group of slum-dwelling children undergo the experience of their lifetime as they get a chance to perform “The Sound of Music”, accompanied by a classical orchestra. Directed by Sarah McCarthy. Other titles in the lineup that, though not related to South Asia, we think are especially noteworthy! Uncle Boonmee Who Can Recall His Past Lives (Thailand): Apichatpong Weerasethakul ‘s ethereal masterpiece is an adventure to the place where the lines between life, death, dreams, and reality, and memory meet in a beautiful, enigmatic convergence. Winner of the Palme d’Or at this year’s Cannes Film Festival. The Housemaid (South Korea): A daring move on director Im Sang-Soo’s part, the film combines parody, thriller, and drama with the story of a wealthy family caught in a mess of infidelity. A Screaming Man (France/Belgium/Chad): A father and son work seemingly-mundane jobs at the pool of an upscale hotel, until war-driven circumstances compel them to make life-altering choices that test their relationship and loyalty to one another. Directed by acclaimed filmmaker Mahamat-Saleh Haroun. Bonus Tidbit: The lovely Frieda Pinto makes a return to the big screen in Woody Allen’s You Will meet a Tall Dark Stranger, to be screened in the “Special Presentations” category. September is looking like a big month for filmmakers and film enthusiasts alike! For those of you who want to get the most bang for your buck (and who doesn’t, really?) keep in mind some important information about tickets for both two big upcoming events. Engendered’s 3rd I-View Film Festival (Sept. 18-26, 2010): Among the 25 features to be screened are Aparna Sen’s The Japanese Wife, making its New York premiere, and the highly-anticipated I Am by Onir. The festival also includes satellite events such as fashion shows and afterparties. Watch the films, schmooze with the stars, and listen in on the panels with an all-access pass, which grants you entry to all of it and more! Buy yours early for $200–after today, prices go up! More info here. IFP Conference (Sept. 19-23, 2010): Aspiring filmmakers, here’s your chance to get your work out there–buy your ticket to this year’s annual conference by September 3rd (which we blogged about earlier), and you may have the opportunity to pitch your projects to the execs, live! With keynote speakers that include Sheila Nevins, President of HBO Documentary Films and panelists from Magnolia Pictures, IFC, and the Tribeca Film Festival, this is the ultimate networking event of the season. Tickets to the full event are going for $220 for IFP members, $300 for non-members. Separate day/panel passes are also available. Buy them on IFP’s website! I was 15 years old when I first saw American Desi. By the end of that school year, I could quote the entire movie, and had developed a major taste for all-male Hindi a capella ensembles. Perhaps it was the novelty of seeing young South Asian actors playing characters that were specifically catered to my age group and jokes that it helped being Indian to understand, or the fact that it was one of my first glimpses into the lives of Indian kids growing up in America; whatever the reason, I’m not ashamed to say that I thoroughly enjoyed the film—and from its surprising success both nationally and overseas, so too did many other expat South Asians. But things went downhill fast. It was as if the dam suppressing the simmering emotions of second-generation immigrants had finally burst, releasing an overkill of low-budget features that attempted to combine their frustration, detachment, and confusion about their place in the world. Green Card Fever. ABCD. Legally Desi. American Chai. Where’s the Party Yaar? * Each one of them more ridiculous than the previous, Indian American films quickly went from entertaining representations of the diasporic experience to precisely the stereotypical disasters they were trying to avoid becoming. So I’ll be honest—when I attended the premiere of debutante director Rehana Mirza’s Hiding Divya last Tuesday, I was in “been-there-done-that mode,” anticipating the usual, underwhelming 90 minutes of a post-adolescent Indian American tragically plagued with an identity crisis. The film begins with Linny (an impressive—albeit occasionally melodramatic—Pooja Kumar), a young woman who has just learned of the death of her beloved surrogate father. She must now return with her teenage daughter, Jia (Madelaine Massey, in an understated yet powerful performance), to her estranged New Jersey hometown to care for her mother Divya (Jaffrey, who excels without overdoing it), whose bipolar disorder has long since been determinedly ignored by her family and concealed from their community. Glimpsing into the stories, relationships, and secrets of the three women, the film is a courageous first venture in broaching the devastating and far-reaching effects of mental illness—a subject that is often misunderstood and wrongly overlooked by South Asian society. In fact, Mirza’s willingness to even tackle it is so encouraging that I wish she really went all the way with it. Instead, while the topic of bipolar disorder is definitely touched upon, it is not explored nearly as deeply as one would like. Mirza has insisted that the film is not about “letting audiences off the hook” when it comes to mental illness, yet that might have been just what she has ended up doing: making the taboo issue more palatable to the South Asian community by interjecting Divya’s story with less-offending subplots such as the unrequited love between childhood friend Ravi (effortlessly played by Deep Katdare) and Linny. I appreciated the comic relief of those moments. However, conveying the severity of Divya’s condition would perhaps have been better achieved by a greater focus on the events leading to her downward spiral, or the parallels between her and Jia, whose fate threatens to follow that of her grandmother’s. Instead, hastily wrapped up with a few heated confrontations between the characters and leaving little time left for a satisfying denouement, the impact of the film is slightly compromised. 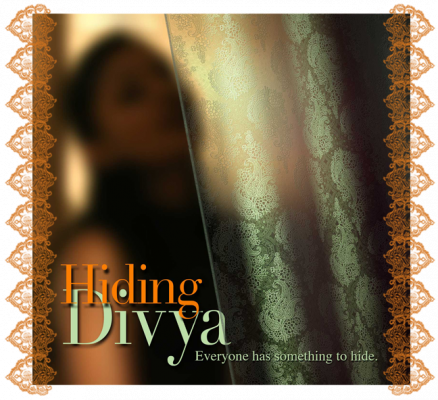 That being said, the Hiding Divya remains a refreshing departure from most immature plotlines that other films of this genre have tended to stick to, and offers an enlightening learning experience as well. Indeed, at the Q&A following the premiere screening, Rehana mentioned her desire to pitch the film to educational institutions as part of the effort to inform young adults of the emotional toll that families afflicted with such conditions experience; I hope she is able to follow through on that goal so as to add even greater value to an already-commendable endeavor. As a supporter of independent South Asian cinema** and an even greater proponent of projects with a social function, I wish this film all the best as it celebrates its long awaited, and much-deserved, theatrical release. * Cringe. I couldn’t even bring myself to see that last one. **Really I am, despite my aversion to Where’s the Party Yaar? Attention all New Yorkers–mark your calendars for November 30th! The Wang Center at the SUNY Stony Brook campus has launched its fall program of films, and our very own AIDS JaaGO, is part of the roster, to be screened on the aforementioned date as part of the Center’s observance of World AIDS Day. This is a great chance to see a FilmKaravan release on a big screen. Watch it, then order your DVD copy on Amazon or FilmKarvan’s website! Joining the film are a number of other South Asian titles, including director Onir’s (My Brother Nikhil) latest project, I Am, starring acclaimed actors Juhi Chawla, Rahul Bose, and Sanjay Suri; and India Untouched, Stalin K’s unabashedly honest documentary on the bottom-most rung of the country’s caste system. A unique collection of worthwhile films–be sure to check out the full list of screenings at the Wang Center’s website. 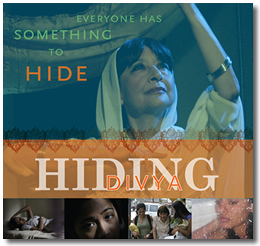 From MIAAC to AAIFF and Silk Screen, Rehana Mirza’s directorial debut Hiding Divya has completed the festival circuit and is ready to make its long-awaited cinematic release. Exploring the progression of a woman’s bipolar disorder and its heartbreaking effect on those around her, the film boldly confronts an issue that often remains either stigmatized or kept firmly under the radar, not only in India, but around the world. With this film, Mirza has expressed her hope that through art, she can do her part to “eradicate a pernicious trend of denial and stigma”. The film opens in theaters on August 20th–visit the site for showtimes and tickets. Committed to giving independent filmmakers a voice and an audience, the non-profit IFP has just unleashed its dazzling array of the 150 new titles that will comprise this year’s 32nd Project Forum during Independent Film Week (once known as IFP Market). Featuring scripts still in development to rough cuts in post production, the Forum allows a chance to learn about and invest in upcoming productions. Industry insiders: if you’re looking for innovative, interesting, and promising projects to add to your slate, this event is not to be missed! Indiewire divulges the list of films here. To all aspiring and emerging filmmakers: while the actual Project Forum is closed to the likes of producers, sales agents, and distributors, don’t miss the conference that’s open to all, as your attendance practically guarantees making a potentially groundbreaking contact for your film. Check out this link for a schedule of events and ticketing information. Presumably, by now, we’ve all realized that reviews and box office returns don’t necessarily correlate with each other. The latest evidence? Rajshree Ojha’s Aisha. Earning a modest Rs 105 million in its opening weekend, according to this article on Indiantelevision.com, the feedback on the film has spanned the critical spectrum, with celebrations of its “well-penned and well-executed sequences” clashing with laments of its “superficial and shallow” nature. Hopefully, we at FilmKaravan will get a chance to see for ourselves as soon as possible and put in our own two cents. In the meantime, if you’ve seen it, tell us–did Aisha live up to your expectations, or did all the hype lead to disappointment? Just like its not-so-unique title*, the plot of Once Upon a Time in Mumbai is not anything we haven’t seen before: a gangster film. Inspired by real-life events, the film’s plot unfolds through the eyes of police officer, Agnel Wilson (Randeep Hooda), whose failed attempts at thwarting the rise of the city’s underworld continue to gnaw at him 18 years later. He tells the story of Sultan Mirza (Ajay Devgan), a smuggler whose longtime black activities on sea routes, undying allegiance to the poor, and shrewd strategizing among his peers once earned him the reputation of the most influential and untouchable gangster around—until he took in young and ambitious newbie Shoaib as part of his crew; with larger-than-life dreams and no moral compass to speak of, Shoaib’s (Emraan Hashmi) desire to rule the entire city soon surpassed his loyalty to Sultan, threatening not only their relationship, but the entire dynamic of power in Mumbai. Director Milan Luthria’s film has opened to mostly rave reviews that tout it as part of producer Ekta Kapoor’s triumphant comeback to Bollywood, so perhaps those of us who came away underwhelmed are missing something? Not that it’s some kind of unwatchable nightmare, but I wouldn’t go around enthusiastically espousing it to everyone I meet, either. Instead, Once Upon a Time in Mumbai lands firmly in middle ground—numerous aspects could have made it great, but eventually don’t deliver to the fullest, producing a film that is just—there’s no other word for it—“meh“. For instance, Rajat Arora’s dialogue has its moments of ingenuity, especially during the blossoming romance between Sultan and his arm-toy Rihana (Kangana Raunat), but after about halfway into the film, slips into “over the top” territory—think a lot of characters entering rooms and delivering melodramatic one-liners with all the macho energy as they can muster before turning on their heels and making their exit with equal gusto. Music director Pritam puts together a number of mellow, melodious numbers; yet they are quickly forgotten due to a throbbing background score which, though apt for the genre, was used so repetitively that it ended up featuring in my dream last night. As far as cast is concerned, Ajay Devgan is the only one who truly soars in yet another effortlessly convincing performance as head honcho Sultan; Hooda as Agnel and Emraan Hashmi as Shoaib are just adequate in their roles as the dejected police officer and aspiring don, respectively. And as gangster films typically leave little room for substantial female characters, Kangana and Prachi Desai predictably have little to do in roles that were probably only created to provide that all-important eye candy. The film can take pride in its recreation of a decade that many younger audiences are unfamiliar with. Whether it is the nature of underworld operations or the culture and fashion inspired by Bollywood’s emerging “masala film” era, the set design, costumes, and general “look” of OUATIM provide an intriguing glimpse into 1970s Mumbai. However, the film’s eventual downfall is its pace, which starts off steadily enough, but post-intermission seems to decelerate to a depressingly dragging tempo. The result: a product that is at least half an hour too long, filled with excessive drunken outbursts and unnecessary, incomplete side-plots. Ultimately, Once Upon a Time…‘s lengthiness and overall mediocrity hardly makes it the best tale ever told; for now, we’ll take comfort in the fact that it is just one of the inexhaustible, multitude of stories that Mumbai has to offer. *Once Upon a Time in China. Once Upon a Time in America. Once Upon a Time in Mexico. Once Upon a Time in the West. Apparently, all the cool kids have done it. **No joke, there’s an angry little musical refrain that showed up every. two. minutes. Those of you who have seen the film already, you have got to know what I’m talking about. 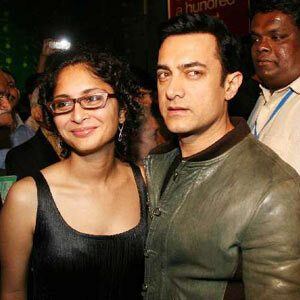 We’re having a field day over here with Aamir Khan references–though this pertains not so much to him as to his wife, Kiran Rao, whose Dhobi Ghat is scheduled to premiere at this year’s Toronto International Film Festival. Her directorial debut joins Anurag Kashyap’s The Girl in Yellow Boots along with a myriad of other international projects by renowned filmmakers. A unique tale of four people whose backgrounds couldn’t be more different, yet whose worlds begin to intertwine to form extraordinary, powerful, and surprising relationships–we’re looking forward to this one! Okay, we’ll admit–here at FK we’re slightly partial to anything that involves Aamir Khan, and his latest production, Peepli [Live] is no exception. The film doesn’t release until August 13th; in the meantime, here’s an interview, courtesy of AVS TV, with the producer himself. Watch as he shares his thoughts on the film and explains how humor, rather than overly didactic haranguing, can be largely effective in educating a wide audience about a nationally significant issue.